The Mark Lenz Memorial Garden at Cancer Lifeline transformed an awkward corner of land, between the parking lot and the main building, into a peaceful meditation garden for those with cancer and their families. 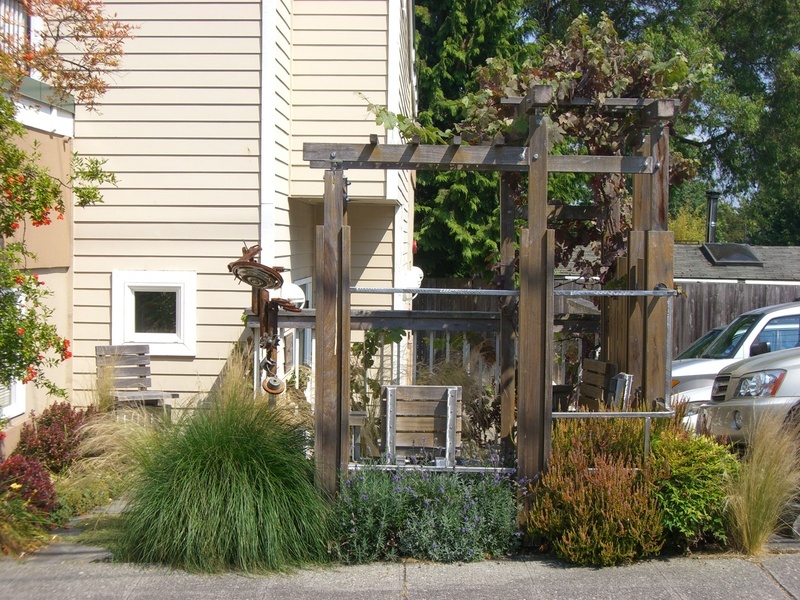 Parie worked with other volunteer architects to design the trellis and bench structure, built of durable stainless steel and ipe wood for long-term beauty and ease of maintenance. Drawings and models of the design were used to secure a neighborhood matching grant, as well as private funds for construction.